Q: How long does it take to print the pictures?A: The Model 12 Photo Booth prints pictures within 10 seconds of your last pose. The photos are studio quality prints and will not fade. Our paper features a protective coating that resists fingerprints, smudges and even drops of liquid. 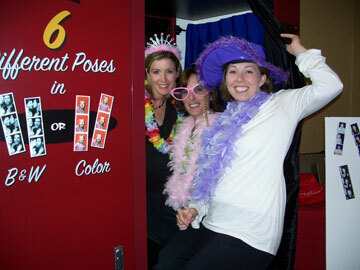 Iowa Photobooth is owned and operated by Beyond Elegance. Beyond Elegance also offers – chair covers, sashes, overlays, tablecloths, backdrop, charger plates….and much much more!